Students will be able to identify pictures that start with the same sound. 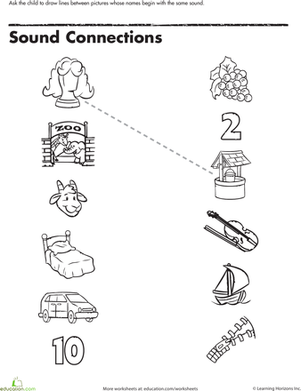 Prior to starting the lesson, print pictures that begin with the same initial sound, such as /t/, that is the focus of the lesson. Print at least one picture per student. Be sure to also print pictures that do not begin with the same sound. Pictures can also be created using construction paper and a die cut machine. 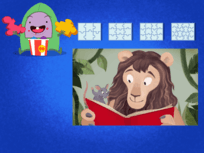 Create a sorting poster using poster board or chart paper. Draw a line down the middle of the chart paper. Under one column write Starts with T☺ and on the other column write Does not start with T☹. Add Velcro to the poster board and on the back of the pictures. If Velcro is unavailable, put tape on the back of the pictures so they may be added to the board. 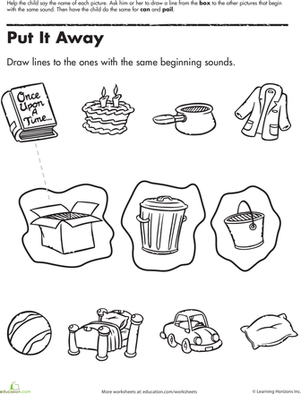 Inform students that they will play a game where they have to sort pictures that begin with the same sound. Remind students the sound of the focus letter. 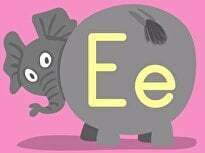 For example, the letter T sounds like /t/. 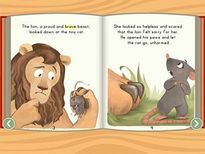 Ask students why it is important to know the beginning sounds of words. Possible answers could be that it helps with reading, and it helps with writing. Explain these answers. Show students the sorting board and pictures. Explain to students that they will put pictures that start with the focal sound on the side with the smiley face and the pictures that do not start with the focal sound on the side with the sad face. Tell students they will each be given a picture. Give each student a picture. Allow students to place their pictures under the correct column. 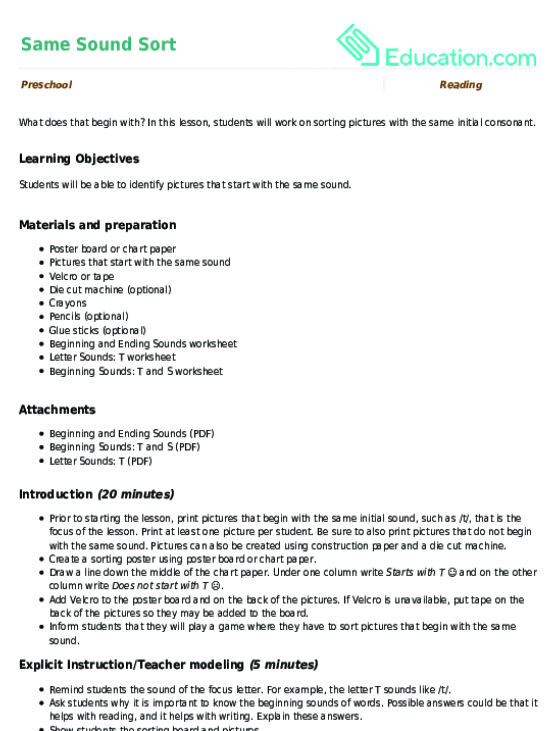 Once the game is complete, allow students to complete the Beginning Sounds worksheet. 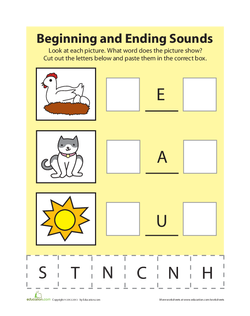 Enrichment:Work with advanced students in a small group on identifying both beginning and ending sounds using the Beginning and Ending Sounds worksheet. 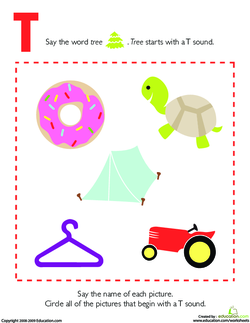 Support:Give students the Letter Sounds: T worksheet to complete. During the activity, write down which students were able to sort the pictures with and without prompting. 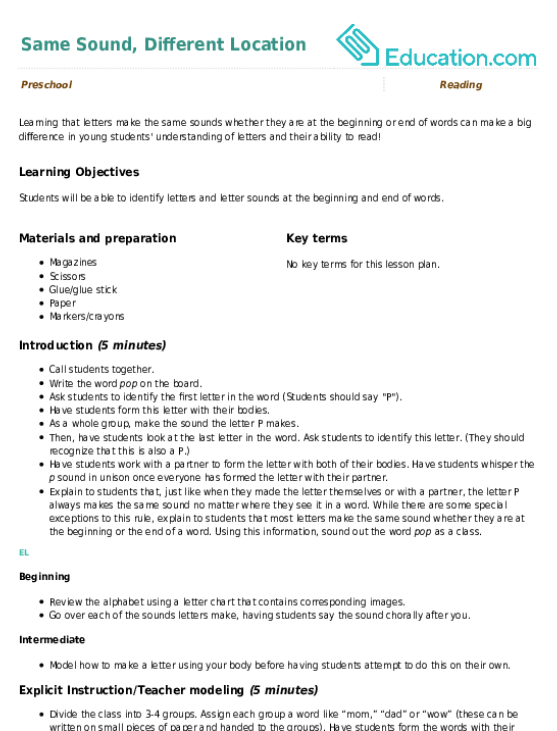 Collect all materials and have students sit down. Ask students what they did in the activity. Ask students why it is important that they learn beginning sounds. If students are unable to answer, tell them. 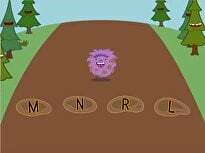 In this lesson, students will work on sorting pictures with the same initial consonant. 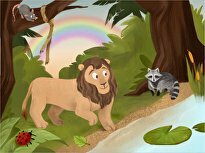 Learning that letters make the same sounds whether they are at the beginning or end of words can make a big difference in young students' understanding of letters and their ability to read! 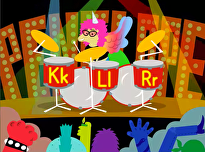 Put your kindergartener's sharp ears to work by helping him match pictures with the same beginning sound. 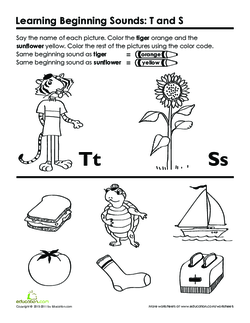 Kids practise identifying the sound of K as they colour the things with the same beginning sound as kite in this phonics coloring page. 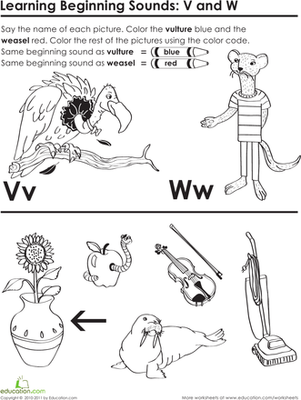 Kids practise sounding out the letter W as they colour things that have the same beginning sound as weasel in this cute coloring page. 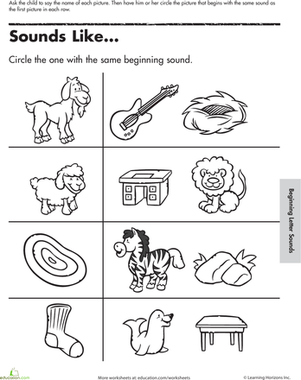 Make learning letter sounds fun with this coloring page that asks kids to colour the things that have the same beginning sound as zipper. Kids get to know the letter J as they colour things that have the same beginning sound as jack-in-the-box in this simple coloring page. 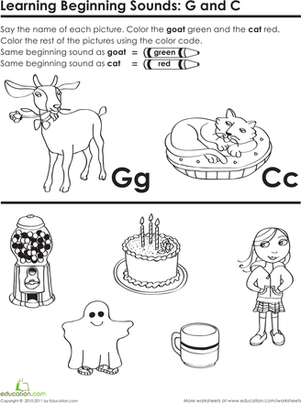 Start your preschooler on the road to phonics success with this worksheet that asks her to match pictures with the same beginning sound. Does walrus have the same beginning sound as weasel or vulture? Kids decide as they colour all W words red and V words blue.